So much damage that I had to do separate posts about each store; Macy’s being one of the culprits. 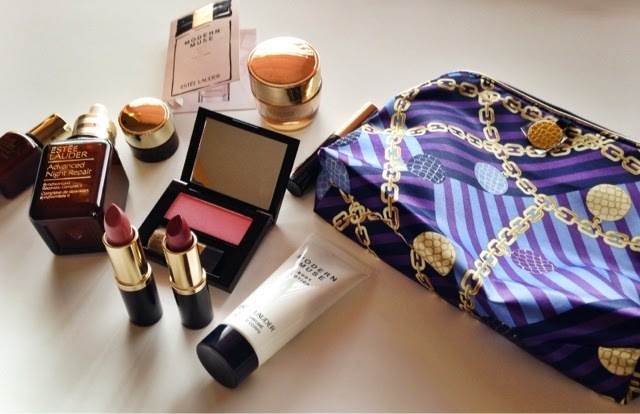 Lucky for me, I only purchased one Estée Lauder product and got a beauty gift that comes with every $35 purchase. You have the option to choice blush, bronzer, or an eyeshadow compact. 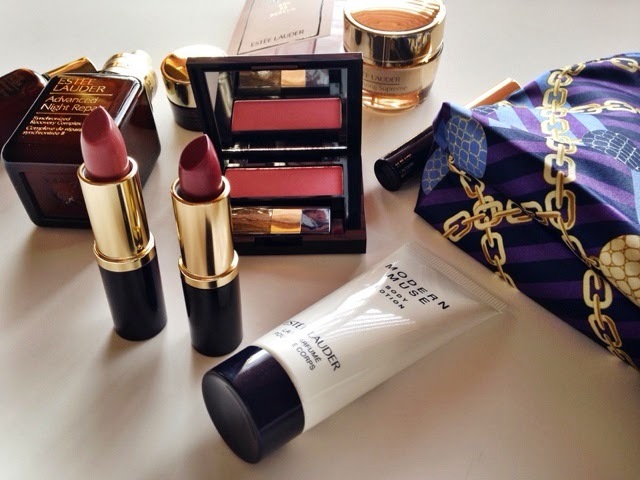 I decided to go with the blush; a girl can never have too many blushes. I previously used the Kiehl’s Midnight Recovery Concentrate, but I’ve heard so many good things about Estee Lauder’s that I had to try it. Once I’ve had a proper chance to use all of these products, I will let you know within an updated skincare routine in the weeks to come. 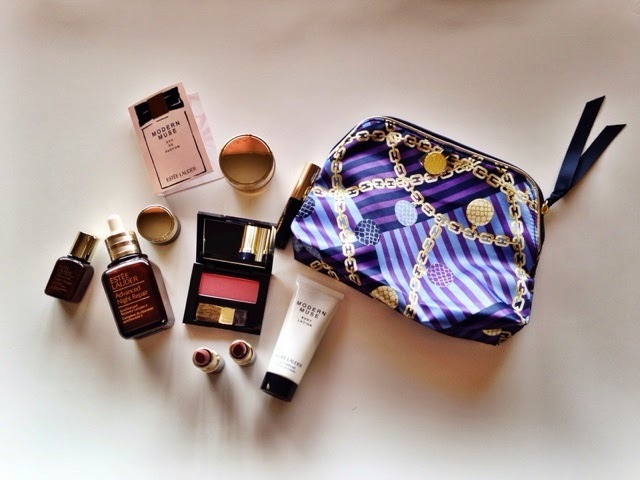 I have to admit I love this beautiful makeup case and all of these presents; Macy’s knows the way to a girl’s heart! 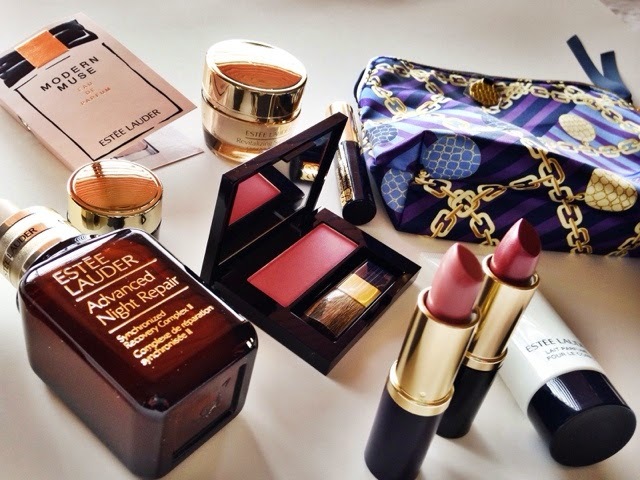 What Estée Lauder products do you love?